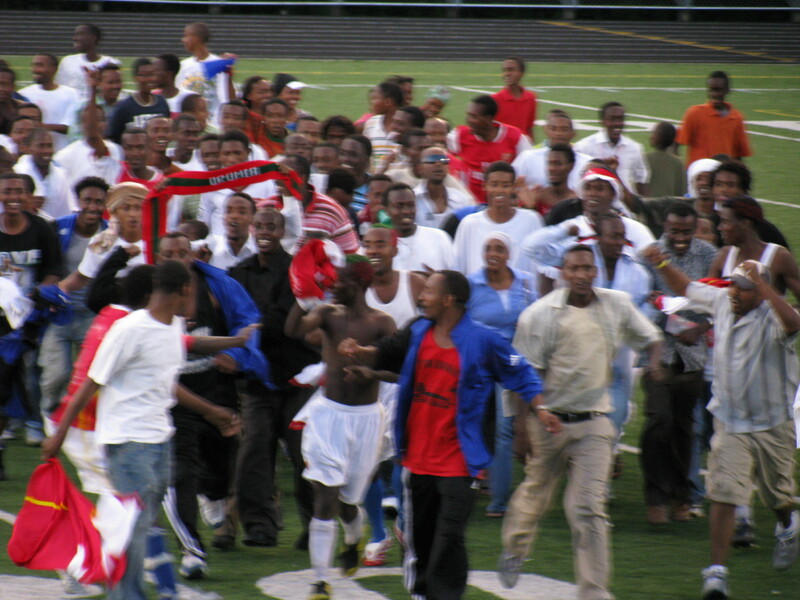 What does the Oromo MegaFest look like from the perspective of a faranjii—a white guy? 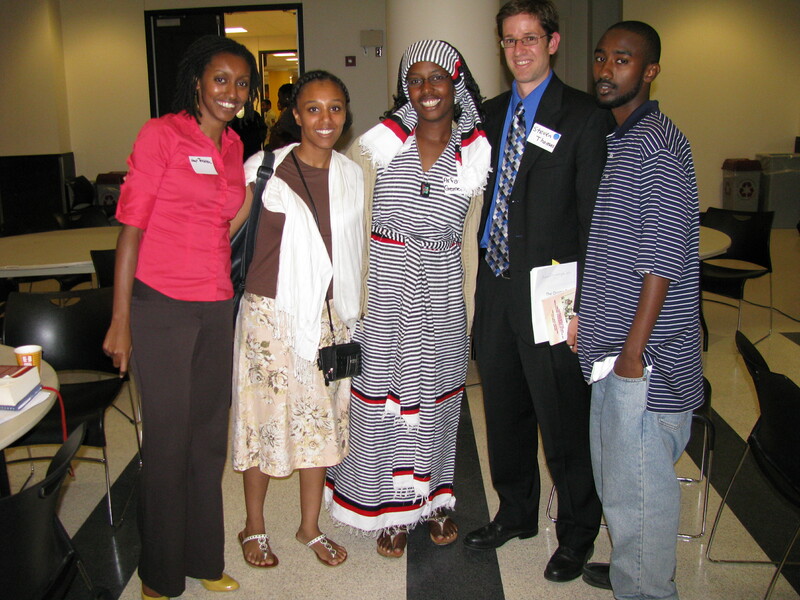 Well, the Oromo MegaFest 2008 in Minneapolis was my second MegaFest, and because I am a faranjii, I took a lot of pictures. Here are just a few. 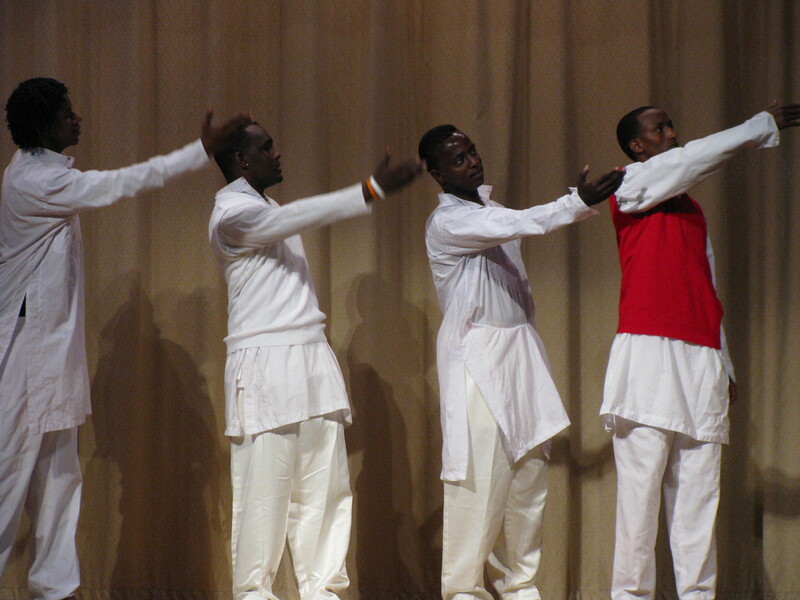 First, there was the culture night featuring the MC Damee Ormaa, the hilarious comedian Habptamu Abdissa, and many dancers. 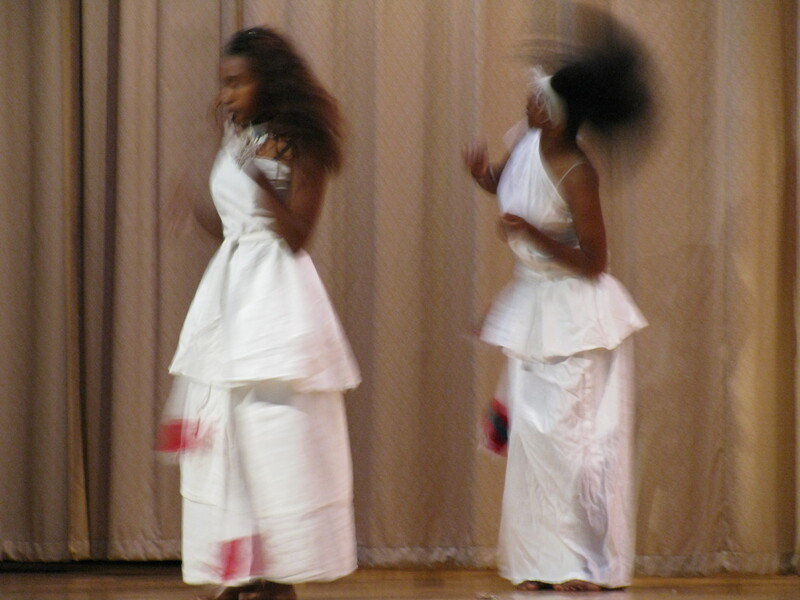 Unfortunately, the wonderful play by Amina and Negassa which I saw early this year (April 5) at the Oromo Youth Association (OYA) culture night in Minneapolis could not be performed this time. 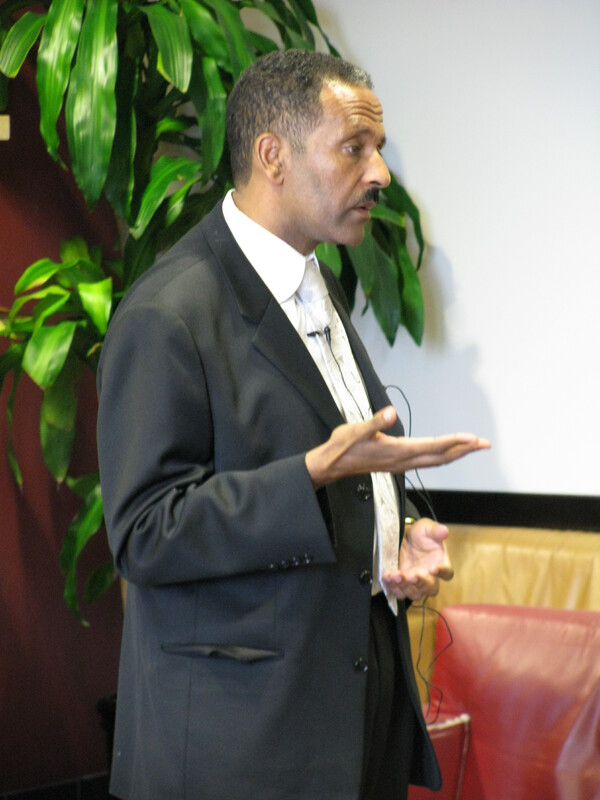 Then the Oromo American Citizens Council invited Obbo Bulcha Demeksa of the Oromo Federalist Democratic Movement to discuss his thoughts about politics inside Ethiopia. 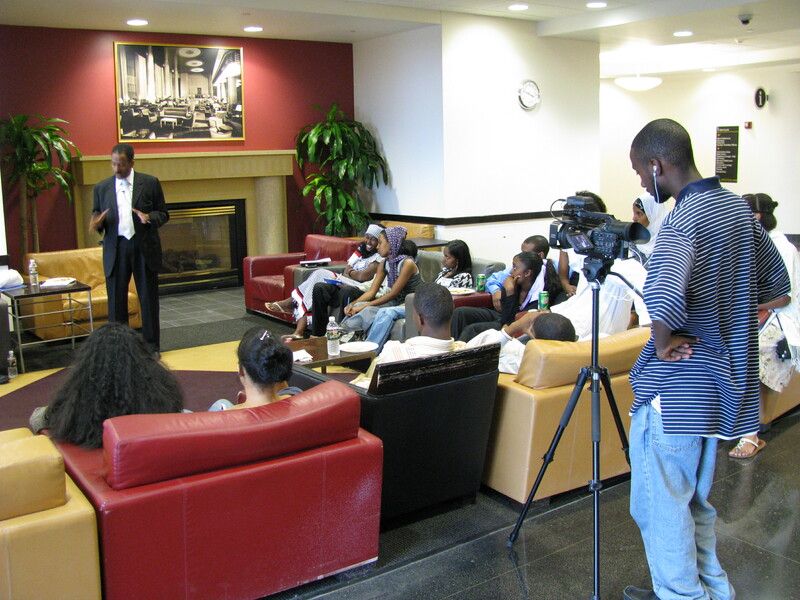 Gelane Gemechisa introduced him to Oromo-American youth. 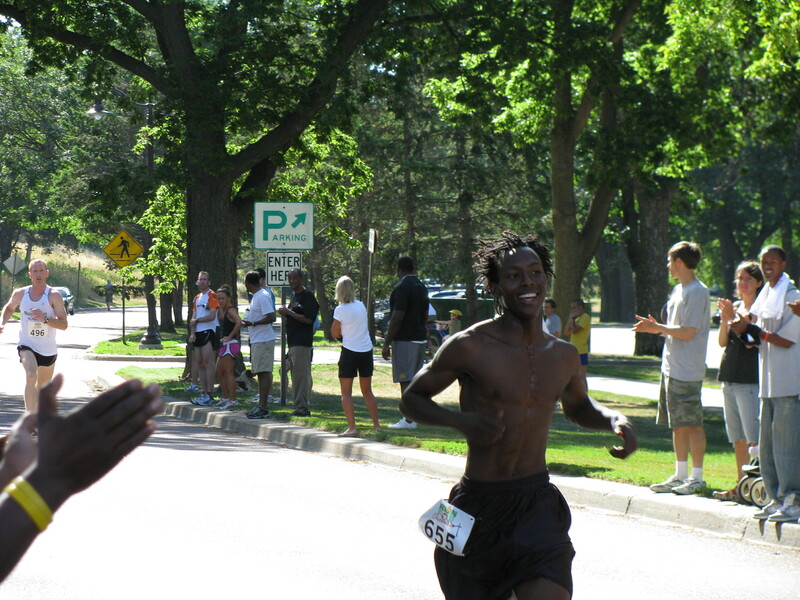 Of course there was the famous 10K and 5K race—bright and early in the morning. The 10K started much too early for me. And what would the MegaFest be without the soccer? 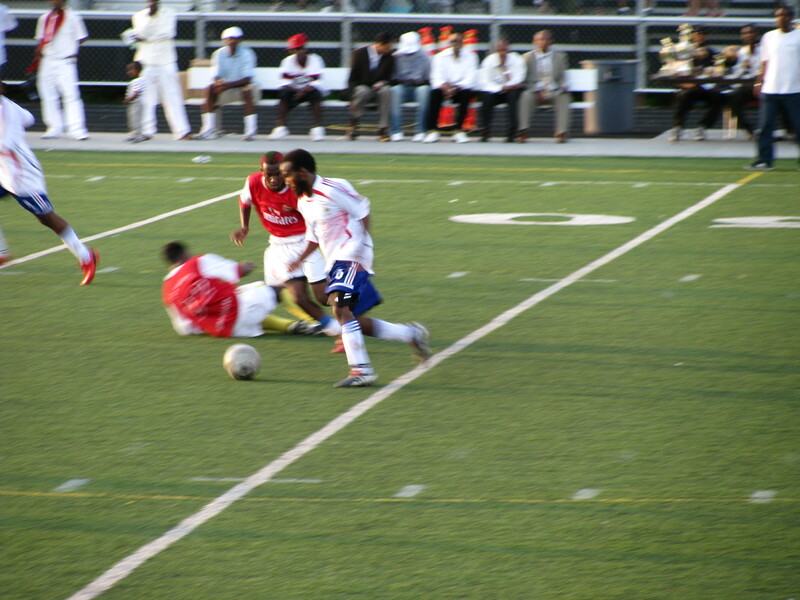 The final match between the two Minnesota teams – Dirre Dawa and Uta Waayuu—went into double overtime and then to an exciting shoot-out with Uta Waayuu prevailing. 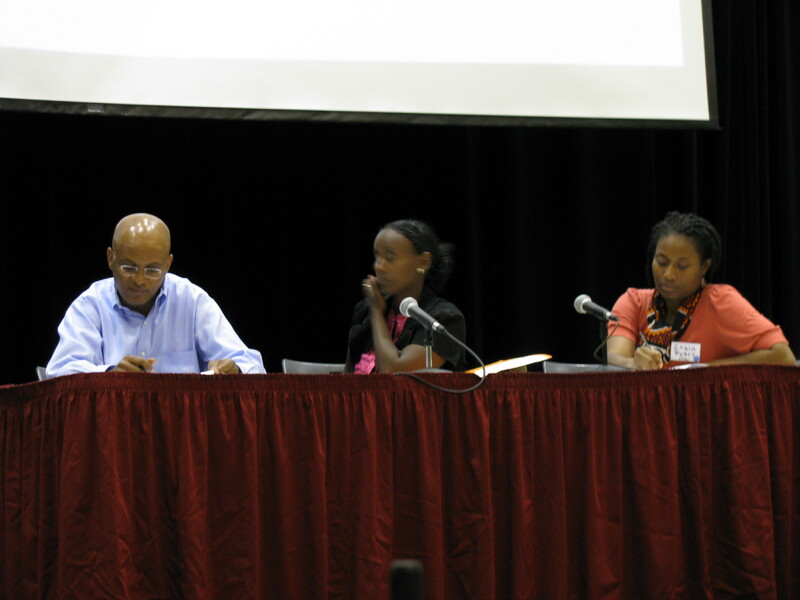 The editors of Ogina attended the Oromo Studies Association conference. I was on a wonderful panel about Oromo literature and cultural identity in Diaspora with Damitu Mamma Argo and Zakia Posey. A few of the Ogina editors Maya, Do’ii, and Steve posed for a shot with Arfasse and Boonaa. 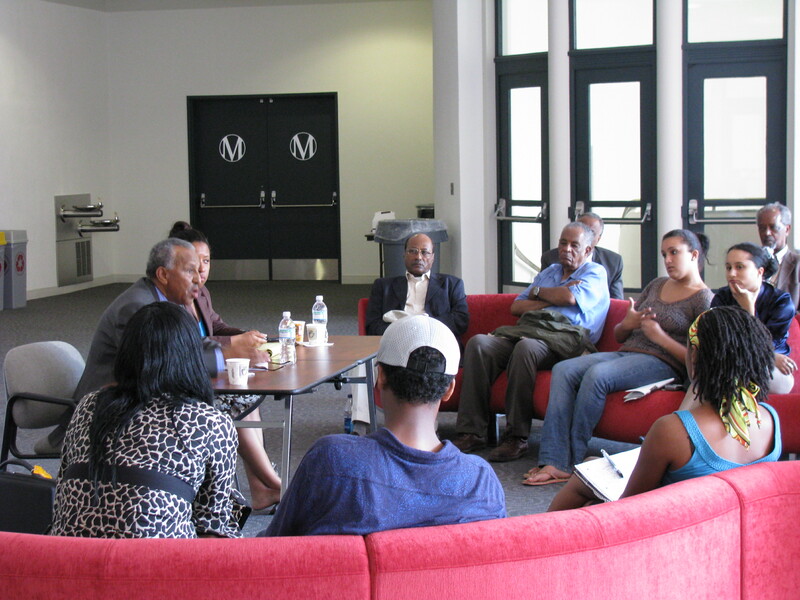 Finally, playwright and film-maker Dhaba Wayessa, whom Ogina featured in its previous issue, was persuaded by the OYA to hold an impromptu forum with Oromo youth to share his insight and encouragement.